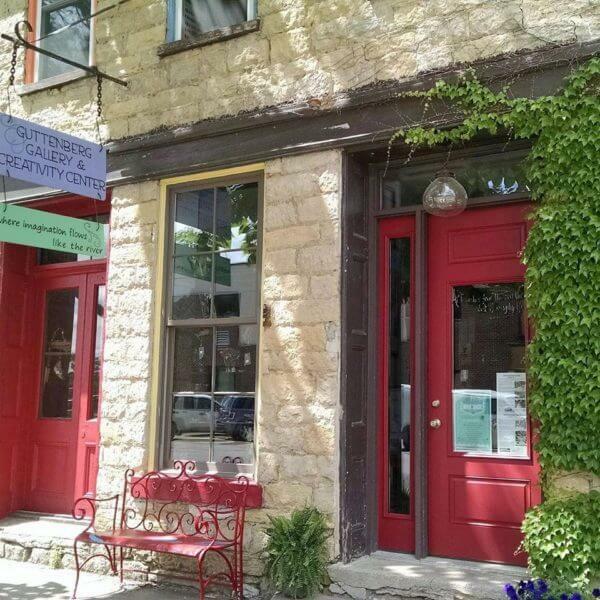 The Creativity Center is a 501c3 non-profit organization in Guttenberg, Iowa. We are funded through grants and donations and staffed by volunteers. We provide after-school programming in our art studio via scholarships funded through all our other endeavors in the gallery and through special events, as well as through our generous donors. In addition to the studio and gallery, we are home to the Courtyard Cafe, a youth-driven culinary arts initiative, and a courtyard that is available for events. Guttenberg Gallery and Creativity Center boasts a variety of spaces sure to suit your needs for any event. You may be discussing an important issue, presenting a new idea, or celebrating with family and friends – and if you’re looking for a place to do that in style, you’ve found it! Our gallery and courtyard are available for rent by the hour, and use of our full kitchen is available with each event. You may have your event catered or request assistance with food service, and our wine menu has something to please every palate.